CLEARFIELD – Joseph B. Bower Jr., president and chief executive officer of CNB Bank, is pleased to announce the recent graduation of Cara Garrigan, Maria Lemmo and Alyssa (Broad) Lumadue from CNB Bank’s Management Training program. The Management Training Program was developed to provide the participant with the knowledge of CNB’s banking fundamentals. The training consists of both in-house classroom and on-the-job learning experiences. Trainees are assigned a specified amount of time in every department of the bank in order to observe and serve in various capacities, and thus acquiring a working knowledge of operations and individual management styles. This structured program lasts for a period of approximately six months. 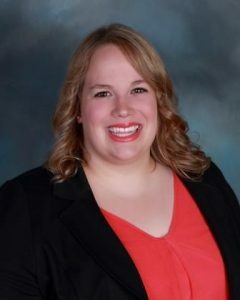 Garrigan began her career at CNB in 2011 as a universal associate at the St. Marys Washington Street office before moving into the Management Training program in June of 2015. Since completing the program, she has been promoted to training specialist at the bank’s main office in Clearfield. 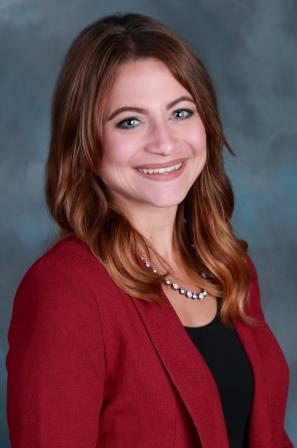 As training specialist, she assists with training the bank’s new associates, developing various training courses and administering the bank employees’ participation in Pennsylvania Bankers Association/Professional Development Network (PBA/PDN) continuing education courses. A native of Emporium, she graduated from Cameron County High School in 2006 before earning her Bachelor’s in communications media from Indiana University of Pennsylvania in 2010. 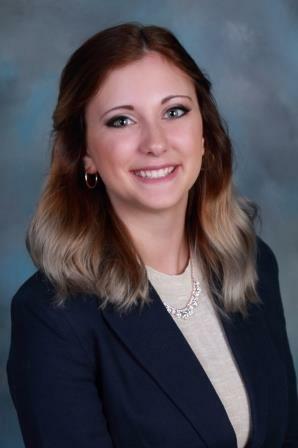 Lemmo began her career at CNB in 2014 as a universal associate at the Clearfield Industrial Park Road office before moving into the Management Training program in May of 2015. Since completing the program, she has been promoted to project assistant manager at the bank’s main office in Clearfield. As project assistant manager, she facilitates and oversees large projects such as the implementation of corporation mergers and acquisitions. A native of Clearfield, she is a 2010 graduate of Clearfield Area High School and 2014 graduate of Seton Hill University where she received her Bachelor’s degree in psychology. She serves her community as a member of the Clearfield Revitalization Corp. (CRC) and plays the trombone in the Clearfield Community Band. Lumadue began her career at CNB in 2014 working as a seasonal associate before moving into the Management Training program in May of 2015. Since completing the program, she has been promoted to compliance assistant. As the compliance assistant, she assists with complex compliance research and regulatory analysis in order to monitor the bank’s compliance with banking regulations. A native of Clearfield, she is a 2013 graduate of Clearfield Area High School and a 2015 graduate of Venango College of Clarion University, where she earned her Associate of Science in paralegal studies. She resides in Clearfield with her husband, Shayne, and is a member of Calvary Church of God in Mineral Springs. She serves her community as the secretary of the Clearfield Salvation Army Advisory Board.